AllThingsDigitalMarketing Blog: Happy 90th Pre-B-Day to America's Goldest Sweetheart, Betty White: Born January 17, 2012 ninety years ago! Is 90 really the NEW 60? 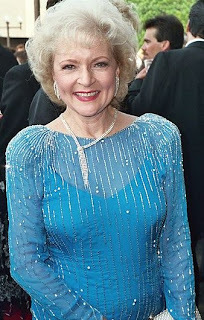 Happy 90th Pre-B-Day to America's Goldest Sweetheart, Betty White: Born January 17, 2012 ninety years ago! Is 90 really the NEW 60? 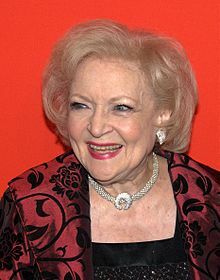 On Tuesday, January 17th, America's "GOLDEST" Sweetheart, Betty White, will turn 90 years young. Born Betty Marion White in Oak Park, Illinois on January 17, 1922 -- Betty White is truly "All Things Happening!" Thanks to White, 2012 will prove to be the Year of "America's Greatest, Goldest Sweetheart!" Happy 90th B-DAY again to Betty White -- American actress, comedienne, singer, author, television personality, professional, entrepreneur, etc. Ninety is indeed the new sixty in all respects for White. What began in the year 1952 was filled with whirlwinds of events that would call for sixtieth anniversary celebrations for White in the year 2012. Sixty years ago, White (then 30 years old) became an entrepreneur, co-founding Bandy Productions with writer George Tibbles, who wrote every episode of "Life With Elizabeth" and Don Fedderson, a producer. It was 60 amazing years ago that White had the starring role in "Life With Elizabeth" where she earned her first of six Emmy Awards. The low-budget comedy was produced by and filmed at a local Los Angeles TV station where White and Moore were on the staff (the series was originally a live production on KLAC-TV in 1952). George Tibbles wrote every episode of the series. 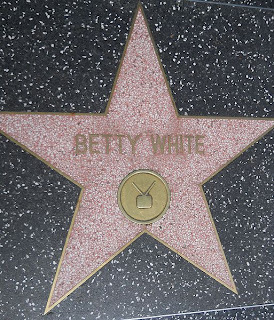 Sixty years ago White not only became known as a famous TV Star -- the year 2012 we celebrate White's 60th anniversary of her first commercial TV appearance -- all this while having her very own Radio Show,"The Betty White Show," all this while being a 30 year old in the year 1952! Over the course of her 70+ year career, working with 200+ leading actors, and 75+ films, White has won seven Emmy Awards (six for acting) and has received 20 Emmy nominations, including being the first woman ever to receive an Emmy for game show hosting (for the short-lived Just Men!). White is still the only female to have an Emmy in all female performing comedic categories. In May 2010, White became the oldest person to guest-host Saturday Night Live, for which she also received a Primetime Emmy Award. And where does she go from here? Obviously, not just a 90th B-Day celebration that's for sure. On the day before her 90th birthday (January 16th), we can all watch a special preview of Betty White's "Off Their Rockers" (Monday, January 16th 9:30/8:30c at 9:30pm/8:30pm central time) where White and a team of senior citizens pull hidden camera pranks. "How does it feel to be young at 90 and have your very own brand new TV show?" Then I would thank her for all she does and for making 90 the new 60 and 60 the new 30! Please share what you would ask Betty in the comments section below. Thanks. 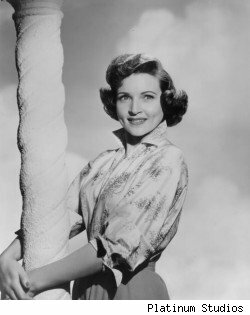 Betty White sings the 1954 pop ballad 'Nevertheless"
Such an interesting post here! I really enjoyed reading this post on Betty White, I wasn't aware of all of her accomplishments and goals she have met, through these years! Such a true star, and deserves to know that! I'd like to know why she never remarried (as far as I know). I guess Allen Ludden was the love or her life, never to be equalled. She really is an inspiration for all of us, I would like to ask Betty White - "What is the driving or motivating force behind all she does?" It really amazes me, she is like 90 years old, but she is still passionate, strong & she is still one of the most beautiful women for me.